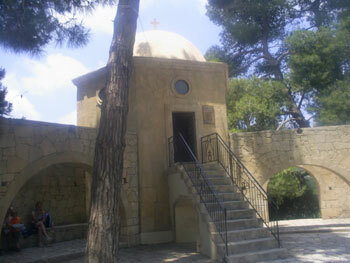 The monastery of Moni Arkadi is 25km south-east of Rethymno and lies 500m above sea level. 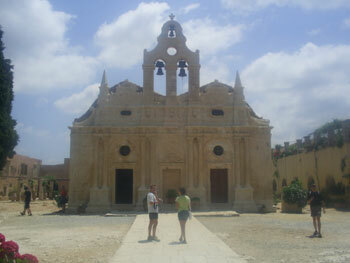 This is without a doubt the most famous of all Crete’s monasteries. Built in the 5th century, it is famous for the events of November 9th 1866. At the time, Crete had been under Turkish occupation for the past 200 years. 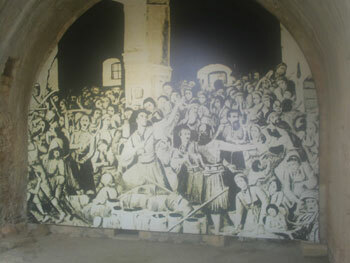 On that day, in Moni Arkadi, the uprising that would eventually lead to Crete’s liberation began. As the Turks began to storm the monastery, the Cretans inside went to their arsenal, a room filled with gunpowder. As soon as the Turkish soldiers breached the monastery walls, the monk Konstantinos Giaboudakis shot the powder, which ignited and exploded, killing all the Cretans and most of the Turks. It’s thought that 1000 died, making this event one of the biggest mass-suicides in history. The act itself bought Crete to prominence on world headlines, and the big powers forced the Turks to leave Crete in 1898. Nowadays, the 9th of November is an important holiday to remember these events at Moni Arkadi. 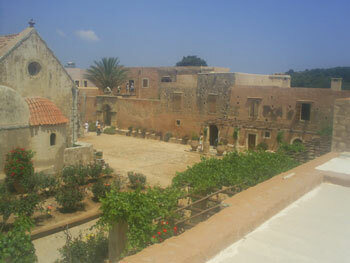 The monastery is quite large, and its high walls are reminiscent of a fort. Monks still live here, so be respectful; if you wish to go in, remember to cover up; those wearing skimpy clothing will not be allowed entrance (only about €2,50 beginning year 2019). 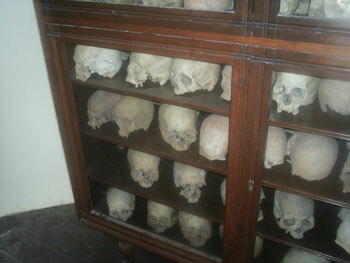 Inside the monastery there’s a small souvenir shop and museum. Outside you’ll find a memorial hall, in which the bones of the dead are displayed – some visitors may find the spectacle a little macabre. There’s an average restaurant next to the large car park in front of the monastery. Three buses come here on weekdays from Rethymno, two buses at Saturday, Sunday and public holidays. There is also a road from Arkadi to the South coast, a long way through the mountain. You can go on the way to Spili, the great restaurant Drimos and to the freshwater village Zaros (far). 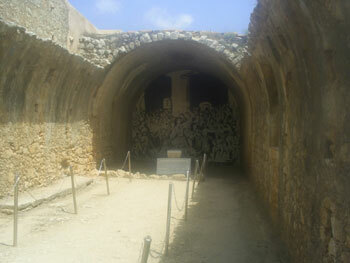 Also the cave Melidoni is not far from Arkadi.